There are some dental health issues pressing on those living with HIV and AIDS that we should illuminate in February, when National Dental Health Month is marked. 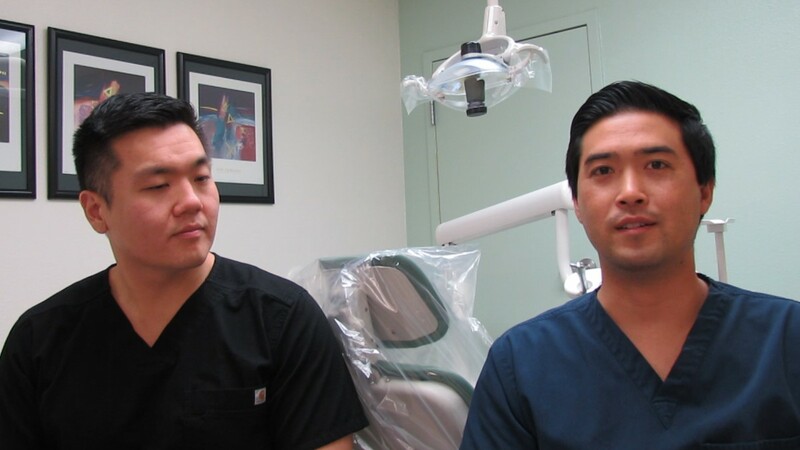 Our dentists, Dr. Ryan Yamashiro and Dr. Daniel Jo, both graduates of Loma Linda University School of Dentistry, agree that some of these concerns weigh more heavily on many of our patients than they do on those who are not HIV-positive. The doctors describe those special challenges and what they do to help. How important is good dental hygiene for those with HIV? Dr. Jo: In general, it’s really important for any patient to have good oral hygiene. But yes, some of the medications our patients take can create complications of the mouth. If you don’t have good dental hygiene you can experience more problems such as gum disease and cavities than a person who isn’t HIV positive might face. What are some of the oral challenges faced by people living with HIV? Dr. Yamashiro: Some of the patients have candidiasis, (a fungal yeast infection also known as thrush.) They take a lot of medications so decay can be accelerated with them. Many also suffer from dry mouth due to some of the medications they’re taking and that also can cause decay. They also have problems with dry mouth in general. They just don’t really salivate that much and it can cause a lot of problems. We try to help manage all of that with them. How much of that do you see here at D.A.P.? Dr. Jo: It’s a pretty common problem. It can affect their condition in terms of their HIV. That goes back to oral hygiene. In general, it’s important to have a healthy oral environment by maintaining the teeth they have, avoiding gum disease, and trying to keep them as healthy as possible. What do you do about dry mouth that’s a function of HIV, or the amount, or type of medications the patient is taking? Are there any changes in the dental clinic that we ought to know about? Dr. Jo: Now that we’re a full Federally Qualified Health Center, it’s good for our patients and our workflow as well. The biggest change is we’re growing: They brought me in as the second full-time provider; we have another part-time hygienist; we have more assistance at the front desk. It’s good. We’re starting to scale up so we can provide more services to more patients. In terms of that, I think we’re on the right path.